Mars mission's search for life clues Jump to media player The Nasa Curiosity rover will search the ancient Gale crater for signs that there was ever water or life on Mars. 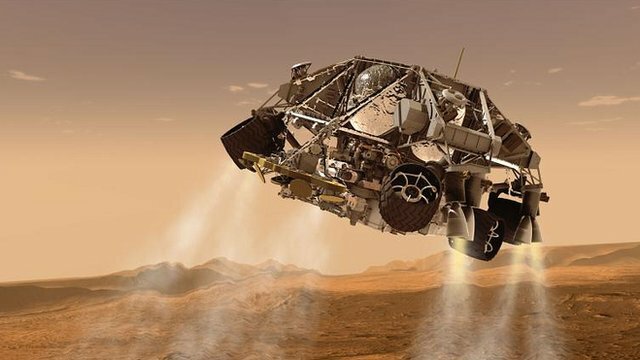 How Mars Curiosity rover landed Jump to media player Nasa's $2.5bn Curiosity rover mission depended on a revolutionary new landing system. A look at the Mars Curiosity rover Jump to media player Science correspondent David Shukman got a look at a full-scale replica of Curiosity, the Nasa rover that is set to launch on an expedition to Mars. 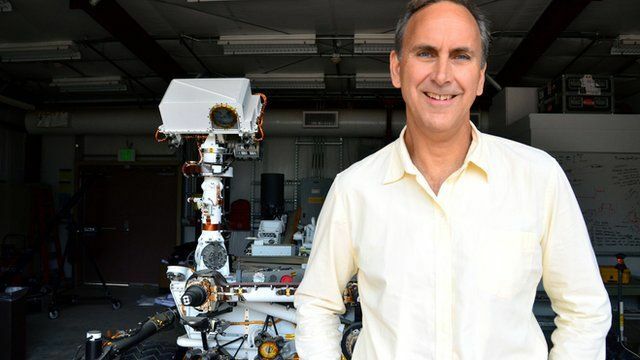 John Grotzinger is Nasa's chief scientist for the Curiosity mission which will seek to land a rover vehicle in the bottom of an enormous crater on Mars. The Gale crater is more than three billion years old and Nasa hope that tests on the ancient rock strata in this depression will reveal if Mars was ever capable of supporting life. 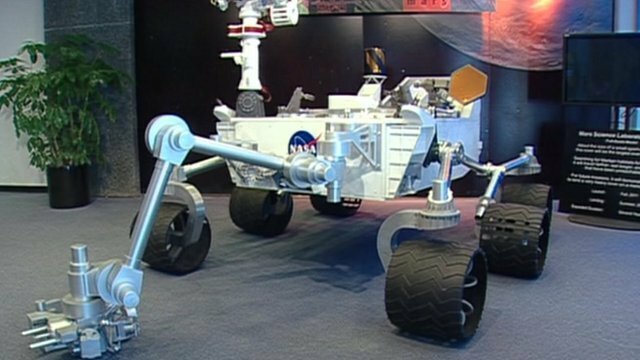 Curiosity is due to land on Mars at about 06:31 BST (05:31 GMT) on Monday 6 August. Horizon: Mission to Mars was broadcast on BBC Two Monday 30 July. Watch online via iPlayer (UK only) or browse more Horizon clips at the above link.